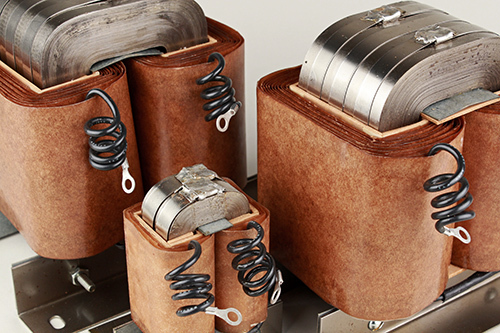 Osborne Transformer is a world leader in the electromagnetic engineering and design of superior quality transformers and inductors. Osborne’s innovative designs combine the best of old school quality standards with the latest in state-of-the-art modeling and materials. You invest great effort and hard work into your circuits. Don’t let cut-rate commodity components undermine your results. Osborne’s engineers have consulted with many multinational design teams, including clients such as NASA, Daimler Chrysler, DTE Energy, Eaton, Intel, and many others. Osborne will work closely with your team to identify the best raw materials, sub-components, and construction techniques for your project. This approach results in high performing and extremely durable electromagnetic components. See for yourself why Osborne is a design partner of choice for some of the world’s foremost engineering departments. Osborne’s partners include many industrial technology trendsetters from around the globe. Osborne’s emphasis on classic electromagnetic engineering means that your circuit will have one less potential source of failure. Don’t take unnecessary chances with low cost commodity parts. Your projects deserve the best, so call Osborne today. Osborne’s engineers will quickly prepare a preliminary design proposal for your project — FREE OF CHARGE. You can trust Osborne’s no-nonsense approach. Designing the ideal transformer or inductor does not need to be a risky or complicated experience.